This Essie mini comes in the nail brand's Winter Mini Kit. For me, Shearling Darling was the standout shade in the pack. This perfect deep red is such a sophisticated, classic shade and it stays chip free for a good few days. I remember swooning over Leo when he was on Channel 4's The Salon! When I saw his range in Tesco, I picked up this sulphate free conditioner. It was a complete bargain and, to be honest, I wasn't expecting any miracles from this product. However, my hair has been loving it since the first use! It's super nourishing and lighweight and it leaves my hair soft and shiny. Another haircare favourite has to be my beloved Tangle Teezer! Since I received this as a Christmas present, my life has changed. No, really! I no longer spend half an hour almost in tears, trying to comb out my locks. This little beauty glides through any knots and tangles in no time. 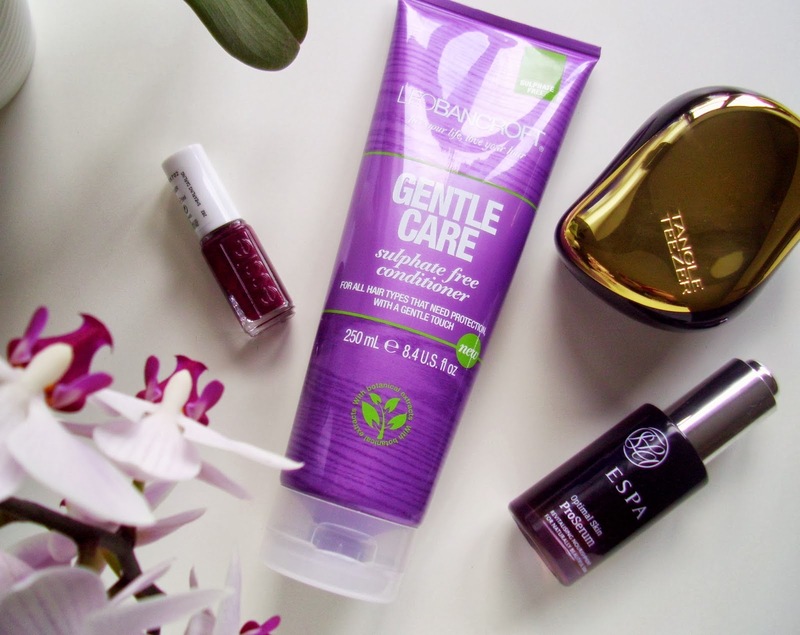 My review of ESPA's latest skincare offering was kindly picked as a runner up entry and the lovely people at ESPA sent me a full size bottle to enjoy. My skin has changed so much for the better since using this. It works wonders on my oily/combination skin and is also a fantastic overnight spot treatment! The Essie nail polish is amazing. I need to try the Tangle Teezer sometime soon! What a great post, love your blog. You have yourself a new follower! Hi there my dear ♥ I just want to ask if we can follow each other on Bloglovin, GFC or Facebook?